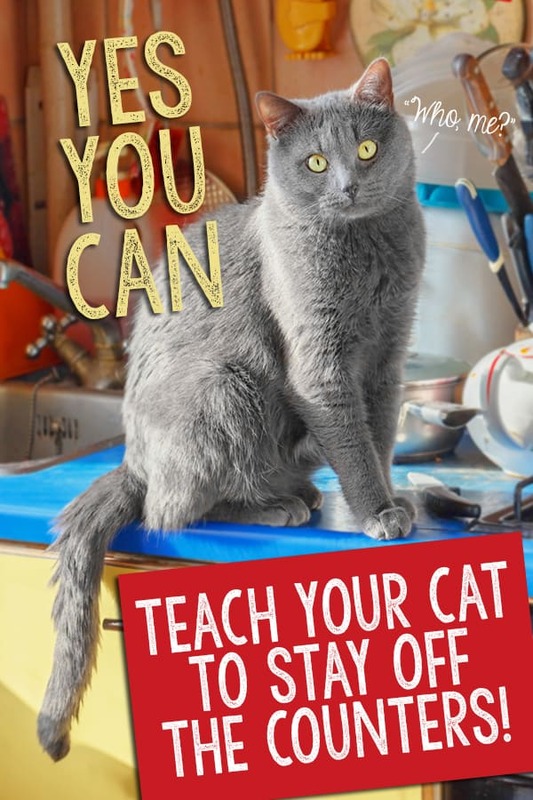 Yes, You Can Teach Your Cat to Stay Off the Counters! 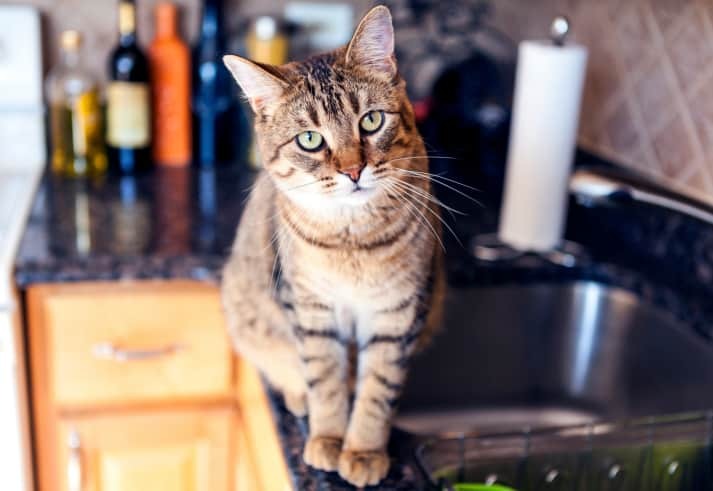 One of the most common questions asked of new cat parents is how to keep their cats off the kitchen counters. Sure, a lot of people have simply decided to live with it (cats will be cats!). 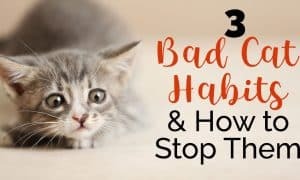 But, it’s a good idea to try and break your cat of this habit for a few reasons – your cat spends a good amount of time scratching around in the litter box. Do you want those same paws on the counter where you prepare your food? Also, cats may try to steal food from the counter, and that’s not just annoying and messy – many “people foods” are downright harmful to cats! Additionally, a cat that’s in the habit of jumping on the counter doesn’t know when he might be jumping right onto a hot stove, so it does pose a safety hazard. Why Do Cats Love Countertops So Much? 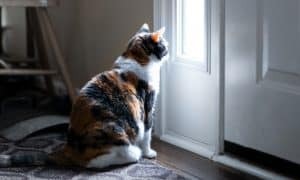 In order to train our cats to stay off the counters, first, let’s explore why our cats are so insistent on being on them in the first place. It’s no secret that cats like high platforms where they can watch over their territory. Whether it’s a bookshelf, a table, or your counters, they love to be high up. Add the fact that you’re doing interesting things at the counter and your curious kitty wants to interact with you. Plus, that’s where your cat’s food comes from! What cat wouldn’t want to be there? 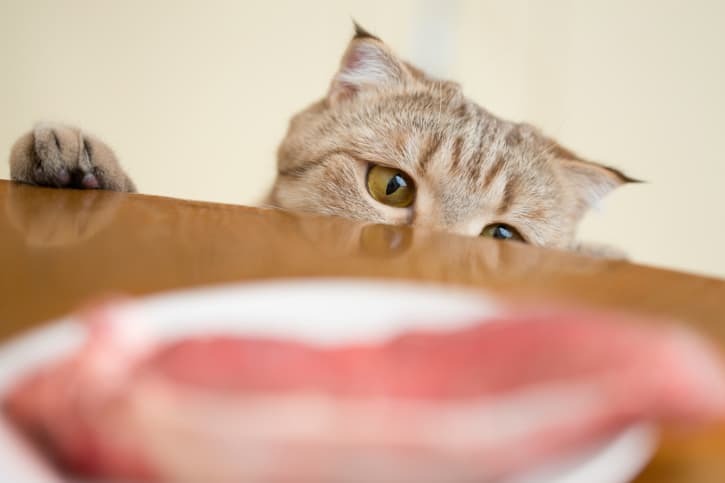 Without realizing it, you may be leaving “rewards” for your cat when he jumps on the counter. Every time food is left out and your cat finds it on the counter, that’s a reward! Whenever she finds a crumb in the sink drain – yes, a reward for being on the counter! If there is food (or anything your cat wants) on the counter, your cat will continue to go there. So keep them clear and clean. Cat Behaviorist and author of ” Think Like a Cat,” Pam Johnson-Bennett recommends getting several cheap placemats and covering them with double-sided tape, like Sticky Paws (which won’t leave any sticky residue behind). Just put the placemats on the counter when you’re not using it. Cats don’t like to step on sticky surfaces, so when they jump on the sticky tape it’ll feel uncomfortable to them and they’ll jump back down. Eventually, when you notice your cat isn’t jumping on the countertop any more, try removing the placemats one at a time. 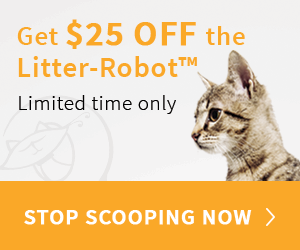 Cat Trainer and author of ” Catification,” Jackson Galaxy recommends using a motion-activated air blaster, like StayAway or Ssscat by PetSafe. 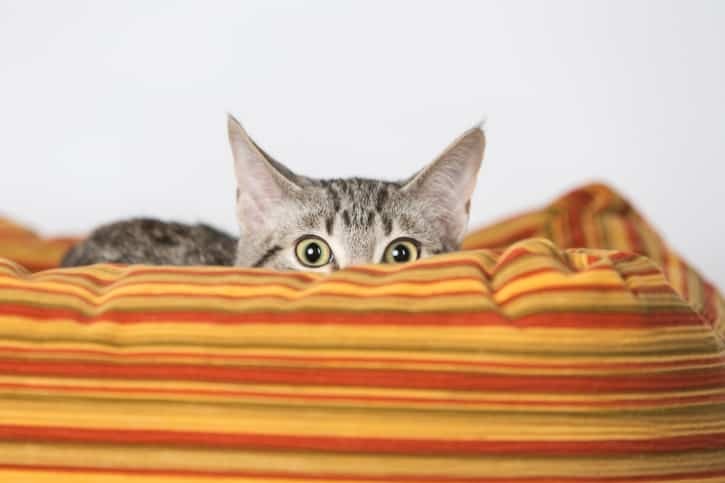 When your cat jumps on the counter, they get a noisy blast of air that will startle them and make them jump back down. A lot of people use spray bottles or penny cans to scare and punish their cats for counter surfing. This is not recommended! 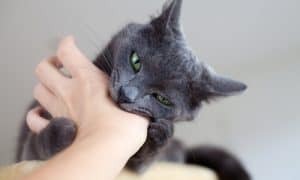 First of all, cats generally don’t respond to punishment because they don’t make the connection that their behavior is the reason they’re being punished. Second, punishing your cat only serves to diminish your relationship with your cat! 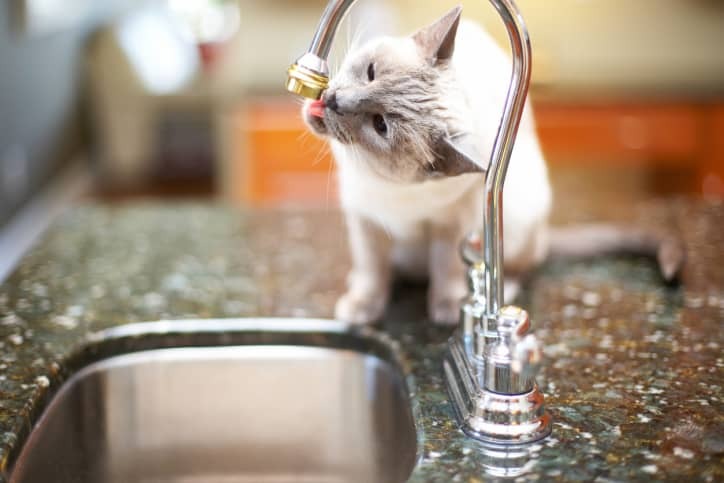 Many people will say, “All I have to do is show my cat the water bottle and he will run away!” and that means your cat is afraid of you and the water bottle, not afraid of jumping on the counter. And he will continue to jump on the counter when you (and the water bottle) aren’t around. We want your cat to believe the counter is the deterrent, not you. Refer back to the reasons your cat wants to be on the countertop in the first place, and then provide an acceptable alternative. 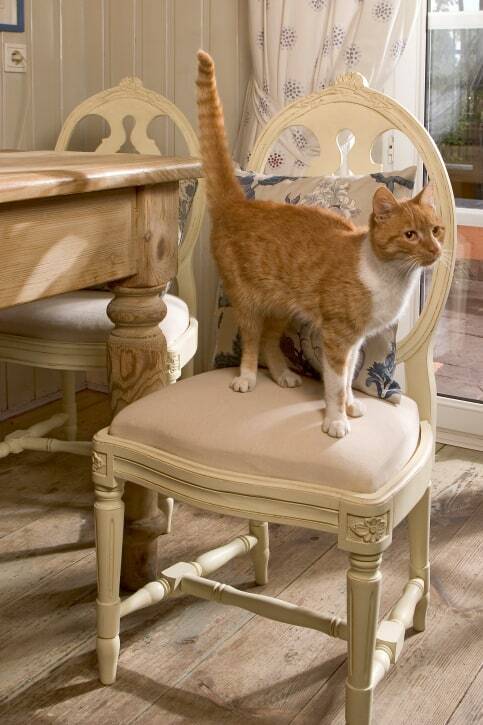 Designate a place nearby, like a cat tree, chair, or a bar stool, where it’s okay for your cat to observe you. When your cat goes to that spot, give her treats to reward and positively reinforce that behavior. Be consistent! Make sure everyone in your family knows the rules and helps reinforce them all the time. 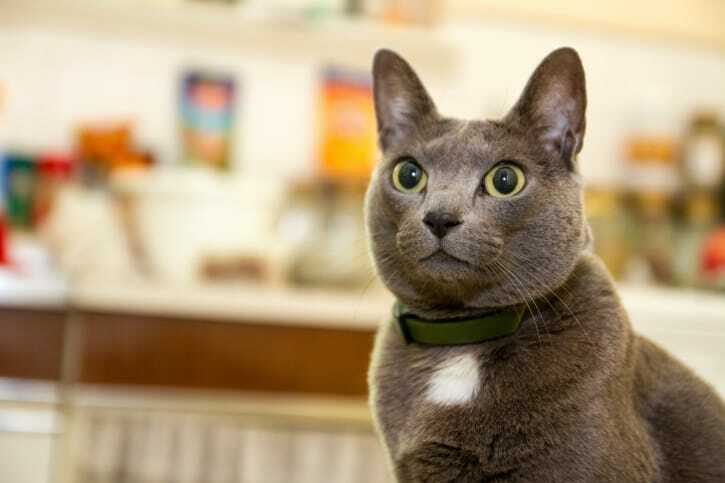 With time and consistency, you will be able to train your cat to stay off the counters! If you found this article helpful, pin it!